PON-PON-PATA-PON! 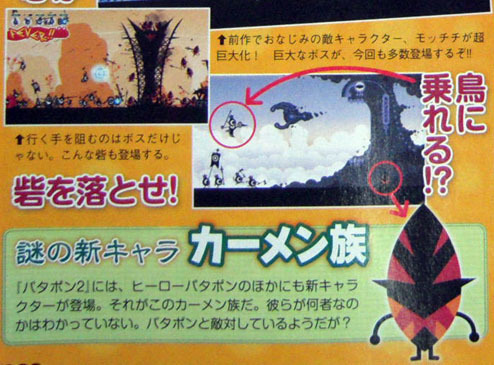 Patapon 2 will be released this Winter in Japan. 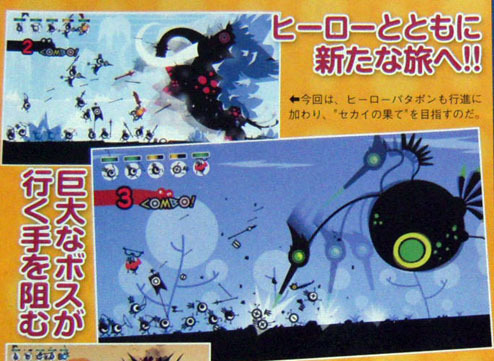 Patapon 2 will feature four player multi-player mode as well as new characters unlike the original Patapon which was limited to singleplayer.